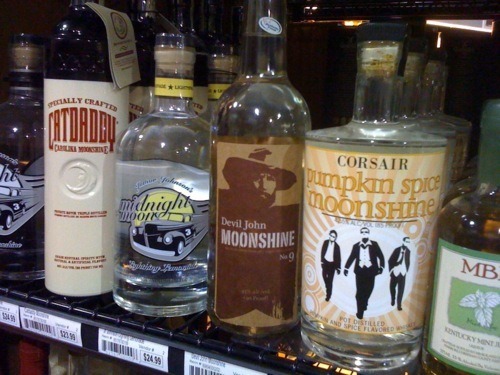 If you’ve scanned the bourbon/whiskey shelves at your local spirit retailer lately, you may have noticed a proliferation of bottles filled with clear liquid and colorfully marketed as moonshine, unaged whiskey or “white dog,” the term distillers give to bourbon or whiskey before it goes into the barrels to mature. They also offer craft distillers a way to get a product on the shelves quickly, since bourbon must be aged for a minimum of two years. Having tasted white dog a time or two, I can’t say I was eager to shell out $25 a bottle to try more. Luckily, the folks at Drink Spirits did the dirty work for me, recently reviewing 20 white dog whiskeys. 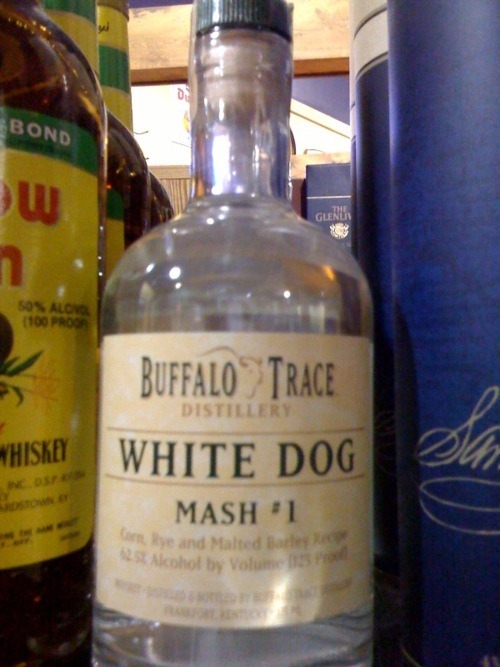 Among their favorites was Buffalo Trace White Dog Mash #1, which matures into Buffalo Trace Bourbon. White Dog Mash #1 is “sweet with light corn notes and graham cracker,” they say, and “surprisingly drinkable at 125 proof.” It would be interesting to conduct a tasting with the White Dog and the finished product. Read the Drink Spirits review here. Meanwhile, I’ve been sampling the 2011 Buffalo Trace Antique Collection, due to hit stores sometime in October. I’ll share my tasting notes on these extra-aged, limited edition whiskeys starting tomorrow.